Cork city, my hometown, is a wonderful place to spend a few days wandering around. It’s a bustling little city, very compact, easy to walk, and has something to suit most tastes. From the artsy type to the nature lover, adventure seeker to the sports enthusiast, I’m sure there’s something in Cork City that’ll take your fancy. The main streets of Cork city, would you believe, were mostly covered by water at one time. The Grand Parade, St. Patrick’s Street and South Mall are all built on former river channels. The River Lee now splits the city center in two to create an island. Actually the Irish/Gaelic word for Cork is ‘Corcaigh’, which translates to marsh, or bog. The list below is comprised mostly of things to do in Cork City. I’ve included a few attractions not far from the city as well, as they are places I feel are worthwhile visiting while you are in Cork. Keep in mind that this list is written from the perspective of someone who grew up in Cork City (me! ), so therefore you’ll find many things on here that are just as popular with the locals as they are with tourists. You’ll get to experience the ‘real’ Cork if you sample some of these attractions. After you finish reading this list, you may also want to check out my other posts about Cork. You’ll find more in-dept information about some of the below-mentioned places at that link. 2. Did you know that one of Ireland’s finest musicians ever spent much of his youth growing up in Cork City? That’s right. You can visit the tribute to Rory Gallagher, the Irish blues-rock multi-instrumentalist, songwriter, and bandleader at Rory Gallagher Place (formerly St. Paul’s Street Square). 3. There’s always a buzz around Cork City at night, and you won’t want to miss out on sampling a little bit of its nightlife. Thursday through Sunday are probably the more livelier nights. You’ll find Oliver Plunkett Street and Washington Street to be happening places. 4. ‘The Lough’ in Ballyphehane is a lovely spot to spend an hour or two relaxing while feeding the swans and observing the other wildlife in the area in this Wildlife Refuge. You can walk all the ways around The Lough in a matter of minutes. There’s plenty of seating, and there’s even a playground for young kids. 5. Stop in to the Cork City Library to read up on historical and current information on Cork. You can view old photographs of the city, pull out some historical maps of Cork and even read past editions of local newspapers. You’ll find the library on Grand Parade. Take a minute to stop by GrabOne.ie and LivingSocial Ireland. They both have really great deals for things to do in and around Cork. Whether you’re looking for a break away, or something exciting like Go-Karting, they both have plenty of options. 6. One of my personal favorite things to do in Cork is to pack up a picnic and head for the beautiful Fitzgerald’s Park, which is situated along the River Lee, about 10 or 15 minutes walk from the main shopping areas. It really is a great place for a family picnic, a couple hours fishing, or for a romantic stroll with a loved one. There’s plenty of wide open space too, to kick a ball around with young kids, and there’s a nice modern playground there too. 8. I went to the Cork City Gaol recently and I can’t recommend a trip there highly enough. A couple of hours should be plenty of time to enjoy one of Cork’s best visitor attractions. They have a night-time tour too, for those of you looking for something a little more spooky. I posted a whole host of pictures from the Gaol at the link above. 9. In recent years Rugby has become one of Ireland’s most popular sports. Turns out we’re quite good at it. You can catch a rugby match at Musgrave Park in Turners Cross. Both Dolphin RFC and Sunday’s Well RFC call it their home. 10. Take an afternoon walk in the Lee Fields. It’s a lovely setting, and you might even catch a game of kayak polo while passing along the river’s edge. 11. How many bridges traverse the River Lee? 42 at my last count, 29 of which are in Cork City. Try crossing as many of them as possible taking pictures as you go. You’ll be surprised at how much of Cork you will get to see, and you’ll find all sorts of new places to explore. 12. A visit to the city won’t be complete without poking your head into Cork’s English Market. Trading as a market since 1788, it pre-dates most of the other markets in Europe like it. It was famously visited by the British Monarch, Queen Elizabeth, on her visit to Ireland in 2011. 13. The Red Abbey Bell Tower, a 14th century Augustinian abbey, on Red Abbey Street is worth a few minutes of your time, but not much more. There’s really not much left of it, but if old Irish structures are you’re thing, then you’ll want to pop by. 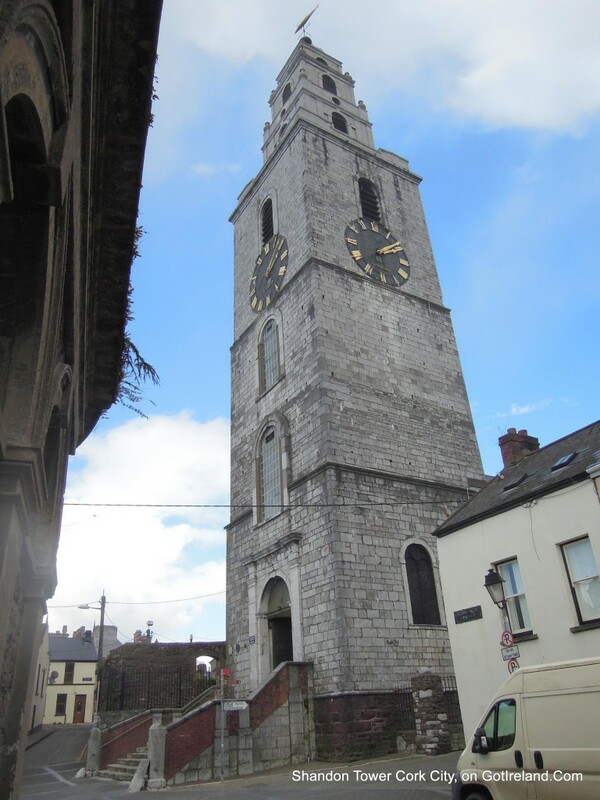 You’ll find the Red Abbey Bell Tower on my Cork City Historic Walking Tour. 14. Need to burn off a few calories from that heavy lunch? Then a hike to the top of St. Patrick’s hill might be in order. It’s a steep climb with a decent view at the top. You’ll find it just across from St. Patrick’s Bridge. 15. Buskers! Cork is full of them. Spend an hour or 2 listening to them on Oliver Plunkett Street, Winthrop Street, Paul Street and St. Patrick’s Street. Flick a coin in their guitar box or hat if you can spare it. 16. Looking for something nice to wear on your night out, or do you just want to grab a quick bite to eat? You can do a spot of shopping in Merchant’s Quay Shopping Centre. There’s a wide range of department stores, restaurants, and smaller retailers contained within this indoor mall. 17. Do some haggling with the street traders in the Coal Quay (a.k.a Corn Market Street), Cork’s original outdoor market. The Coal Quay is mentioned in the song “The Irish Rover” in the line “In the year of our Lord, eighteen hundred and six, We set sail from the Coal Quay of Cork”. It’s not as vibrant a marketplace as it once used to be, but you might find an old trinket there that you can bring back home. Speaking of things to bring back home, I have some ideas for that here. 18. Guinness might be Ireland’s most famous stout, but to Cork people, you can’t beat a good pint of Murphy’s. The brewery is right in the city center, but as far as I know there’s no tours available. 19. Another popular Cork drink is also brewed in the city at the Beamish Brewery. Again, no tour info available. They need to do something about that! 20. Mingle with Cork’s student population by taking a walk in the grounds of University College Cork (UCC). There’s some marvelous architecture to enjoy, the award winning Lewis Glucksman Gallery is here, and so too is the George Boole library. 21. Take in a play at the Cork Opera House. The Opera House has been operating as a theater in Cork since it was built in 1855. 22. Hop on a train at Cork’s Kent station. Destinations include Cobh, Dublin, Limerick, Kerry and more. Sit back, relax and enjoy the scenery. 23. An absolute must do! Pop on by St. Anne’s Church in Shandon and ring the church bells. 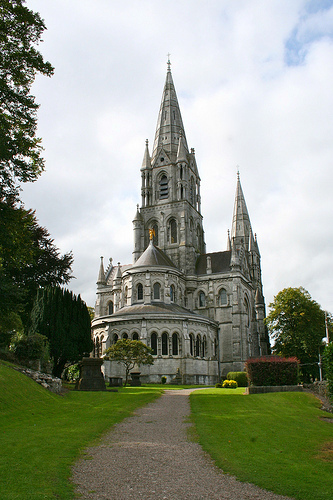 St. Anne’s church is the home of Cork’s famous Four Face Liar. The four clocks on the tower are renowned for never showing the same time. After many years of walking right past this amazing church, I finally ventured in last year. Check out my photos and video here. 24. Ireland’s top level soccer league is nowhere near the quality of professional leagues around Europe. But if you do want to watch a match, then you can see Cork City FC play in Turners Cross. 25. If you’ve never seen a live Gaelic games match, then you’ve come to the right place. Enjoy a game of Gaelic Football, or be amazed at the speed and skill of the players in a Hurling match in Pairc Ui Caoimh, Corks 50,000 capacity Gaelic Games home. If there are no games scheduled during your trip, you’ll probably find a local team playing in the town or village you’re staying in. 26. Catch a trad session (Irish traditional music). Cork has some great spots to get an earful of great Irish music. A couple of pubs that offer some good Irish music throughout the week include Sin é (“That’s It” in English), on Coburg Street, and An Spailpín Fánach Irish for ‘the migrant labourer’, on South Main Street. 27. Visit the Crawford Art Gallery “a National Cultural Institution and regional art museum for Munster, which is dedicated to the visual arts, both historic and contemporary”. 28. The Opera House isn’t the only place where you can enjoy a bit of live theater. There’s also the Everyman Palace, a Victorian theater, on MacCurtain Street. 29. Cork’s most famous statue is that of Father Mathew on St. Patrick’s Street. Snap a photo of it, or better still, have someone take one of you with it. It’s one of Cork’s most recognizable landmarks. 30. Another of my personal favorite places is the Cork Public Museum, a two storey Georgian house, in Fitzgerald’s Park. The museum offers a diverse collection of medieval artifacts found in Cork. The last time I was there, admission was free. 31. Take a tour of Saint Fin Barre’s Cathedral, a church famous for the murals on the church ceilings, it’s stained glass windows, the 46 foot high Bishop’s throne and the 1870 church organ consisting of an astonishing 3012 pipes. 32. Visit Cork City Hall, an eye catching building on the banks of the Lee, where Cork’s political issues are settled. 33. Have you ever wanted to visit a Butter Museum? Hadn’t thought so! But I hear it’s well worth it, and it’s on my to do list. You’ll find it just a stone’s throw from St. Anne’s Church. 34. Looking for a round of golf? There’s plenty of golf courses near the city center. You might want to look into Mahon Golf Club. It’s open to the public, and the green fees are quite reasonable. 35. Talk to the “Echo Boys” (Newspaper vendors) of Cork City. Cork’s Echo Boys can be heard shouting the name of the daily evening newspaper around the streets of Cork City. Some of these vendors have been selling Cork’s newspaper most of their life, which may span many decades. If they can spare you a few minutes, you might learn a thing or 2 about the city that you never would’ve otherwise. 36. 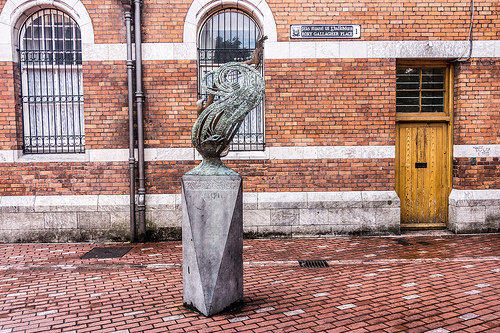 Join a Cork City Walking Tour with an emphasis on taking photos. There’s great architecture to be seen, and plenty of other photo opportunities around Cork City. There are a few guided options available, but if you want to do it yourself then try my Cork City Historic Walking Tour. *The next few places are the ones I mentioned that are a little further from the city, but very much worth a visit. 37. 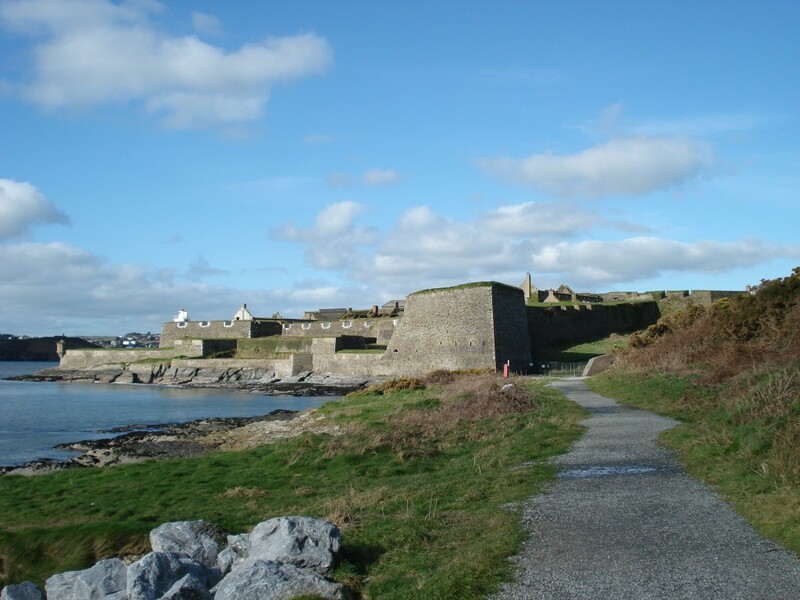 Tour the grounds of Charles Fort in Kinsale, a star fort built in the 1600’s. Kinsale is a very famous town, particularly for its food, but be sure to get up to the Fort before you leave. James’ Fort is nearby too. While standing at Charles Fort, you’ll see it just across the bay. 38. Indulge yourself at The Jameson Experience at The Old Distillery Midleton. Take a journey through history and see the old kilns, mills and malting, water wheel and old warehouses, with some buildings dating back as far as 1795! 39. 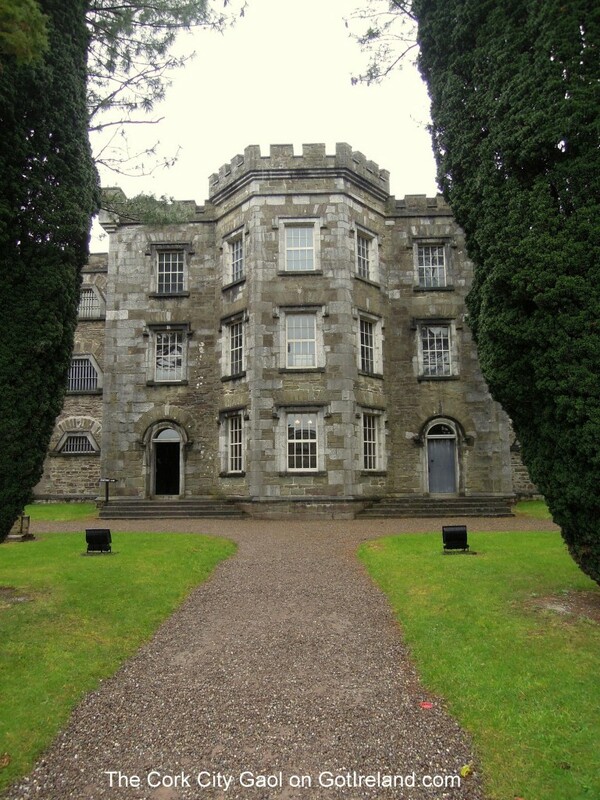 Visit the Ballincollig Gunpowder Mills. The visitor center closed a number of years ago, but you can still see some of the ruins of the old buildings. 40. Fota Wildlife Park – get up close and personal with many of the animals at Fota. Kangaroos, Meercats, Monkeys and more will mingle with you as you stroll around the park. 41. Catch a boat ride from Cobh over to Spike Island prison, where you’ll experience a piece of Irish history like no other. The island has had various other uses over time, including being a monastic settlement in the 7th century, and it was a favorite spot for smugglers to ply their trade for some time. 42. I mentioned earlier you can get a train from Cork city (at Kent station) down to Cobh. It’s a lovely town to spend an afternoon. Good food, an amazing cathedral, Spike Island, and due it’s strong Titanic connections, the town is home to the Titanic Experience. 44. Visit the Blackrock Castle Observatory. Tons of fun, great for kids, educational, and perfect too for families, school groups and science enthusiasts. 45. Greyhound racing! Cork has that too. Curraheen Park Greyhound track is just a short distance from the city center. I think I’ve lost far more than I’ve won here, but I’ve had some fantastic nights and evenings out. That’s it folks. There’s plenty more of course, but the list above is some of my own personal favorites. If you want to add a few of your own, please feel free to do so in the comments below. Not a bad idea. We should always look for ways to recognize our talented citizens. They have the Liverpool John Lennon airport. Why not the Cork Rory Gallagher Airport? Well, that’s a wonderful long way to go. I’ve lived in Cork for one year in the past lecturing in UCC and I can’t say how much I love Cork and its surroundings. My interest in Irish folklore brought me there, in Thomas Crofton Croker birthplace and I hope to come back again. I went weekly to the English Market, as the sight of all those beautifully arranged goodies was a joy for the eyes and I can’t forget the emotion I felt in Cobh. It sounds like you enjoyed your stay in Cork a lot 🙂 That’s good to hear. Thanks Liam. I did more than enjoy. I made it my soul place. I miss it so much. Thanks for the commenter above or below that referenced Rory Gallagher. i thought i knew a lot about most music, but am embarrassed to say i didn’t know much about Rory Gallagher. thank goodness for you tube and websites as I have just spent the last hour and a half listening to some of the best rock and roll guitar playing ever. Rename the Airport today. Thanks Liam for all the great info on Cork. Will be in Ireland this November 2012 from Sydney Australia and cant wait to look around and experience the culture and people. No problem Phil. I hope my list gives you some ideas on what to do around the city. Beamish’s Brewery taken over by Heineken so brewery is closed as far as I know. Also for those interested in history, there are many stone circles etc & the smallest Irish cathedral is St. Fachtna’s in Rosscarbery (1 hour from Cork City) open year round. A number of microbreweries have opened & in Clonakilty there is the Model Village amongst other attractions. “Mother Jones Flea Market is a new market in the heart of Cork City Centre. Based in unique Thompson House on York Street, just off McCurtain St the market will provide vintage clothing, furniture, books, jewels. records, faboulous funky household items and creative local crafts. Another great place for Trad music is the Gables Bar on Douglas Street, Trad is on Wednesday and Sunday night from 9.30 and they also have some fantasic live music on Saturday nights, some great Rock and Blues artists play there. You forgot Blarney Castle! Always a busy spot in the summer.